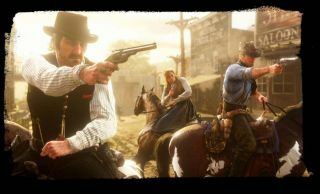 In February, Trusted Reviews published Red Dead Redemption 2 details from a leaked Rockstar document. Today, Variety reports that Trusted Reviews publisher TI Media has agreed to donate more than a million pounds to "unreservedly apologise" for the story. The money goes to charities chosen by Rockstar. A Take-Two statement to Variety says: "Take-Two takes security seriously and will take legal action against people or publications who leak confidential information. The Trusted Reviews apology reads as follows: "On February 6, 2018, we published an article that was sourced from a confidential corporate document. We should have known this information was confidential and should not have published it. "We unreservedly apologise to Take-Two Games and we have undertaken not to repeat such actions again." Red Dead Redemption 2 is out on consoles now, but we reckon there's a strong chance it will come to PC eventually. There are clues hidden in the game's companion app, and there are more indication in our round-up of everything we know about Red Redemption 2.